The White House recently canceled a highly anticipated celebration for small businesses amid allegations that the government has been awarding large companies with government contracts meant for small businesses. The Small Business Administration (SBA) intended to co-host the event but cited “unforeseen scheduling conflicts” when it was canceled. Each year the SBA releases results from the Business Procurement Scorecard, which calculates the percentage of federal contracts awarded to small businesses. Recently the White House planned to announce that small businesses received 25 percent of contracts in 2014, the highest it’s been in eight years. Reporters were weary of this proclamation, considering the fact that news sources have been reporting for over a decade that the majority of companies awarded federal small business contracts are actually large firms. 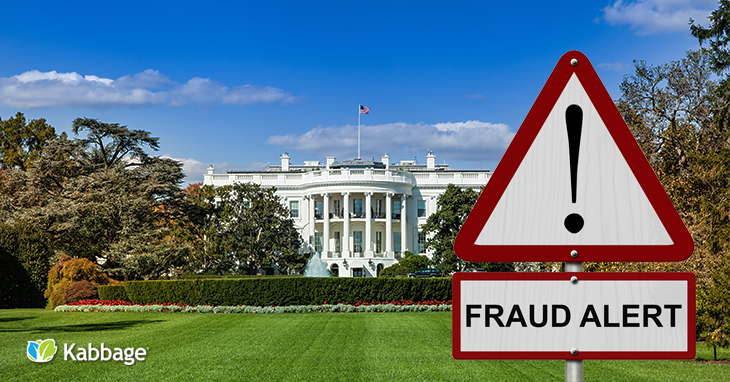 When journalist Kent Hoover asked the Small Business Administration Press Office to provide the names of their small business contractors, they refused to comply and called off the White House event. A recent report by government watchdog Public Citizen also critiqued the “accuracy of the Obama Administration’s small business contracting data.” The American Small Business League, which champions small businesses in the United States, provided research for the report. Lloyd Chapman, the organization’s President, went further, accusing the SBA of fraud and claiming that falsifying this data and diverting contracts from small businesses to larger firms is in direct violation of the Small Business Act. The Small Business Act mandates that at least 23 percent of the total value of all federal contracts be awarded to small businesses every year. If the 25 percent number released this year is inaccurate, it may result in serious repercussions for the SBA. Assuming the allegations are true, why have Fortune 500 firms been included in the SBAs small business contracting statistics for over 15 years? The Washington Business Journal is calling for the SBA to release their 2014 data on every federal small business contract. At the very least, the agency could publicize a list of the top 100 small business contractors in order to increase transparency. Lloyd Chapman believes that President Obama will attempt to close the SBA in order to mask this fraud. The SBA was founded in 1953 to provide loans, loan guarantees, contracts, counseling sessions and other forms of assistance to small businesses. Closing the SBA may indicate a shift in the Administration’s priorities and waning support for our nation’s small companies. Although these accusations about fraudulent data are unconfirmed, our government must help advance small business interests especially since they serve as major drivers of our economy. What do you make of these accusations against the SBA? Voice your opinion in the comments section below or tweet us @KabbageInc!